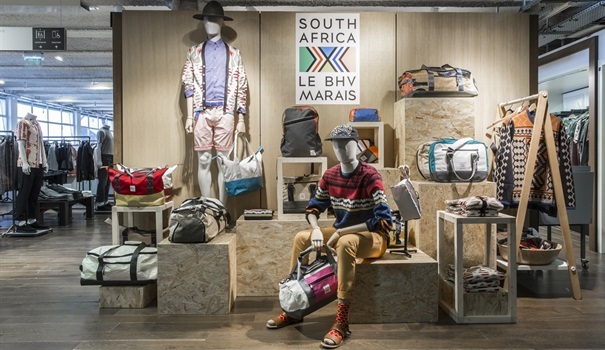 Forty-two South African designers are currently exhibiting their artisanal goods at the renowned BHV/Marais in Paris, a department store of the group of Galeries Lafayette that attracts over 60,000 visitors daily. The exhibition showcases South Africa's creative energy and its international design and cultural capitals: Johannesburg and Cape Town. Championed by Artlogic, This is Cape Town and Le BHV/Marais, the showcase presents an opportunity to expose international audiences and buyers to a selection of artisanal South African brands across various design categories namely; fashion, furniture, accessories, beauty, homeware and decor. A project of this proportion, led by a prominent international retailer, is the first of its kind in Paris. 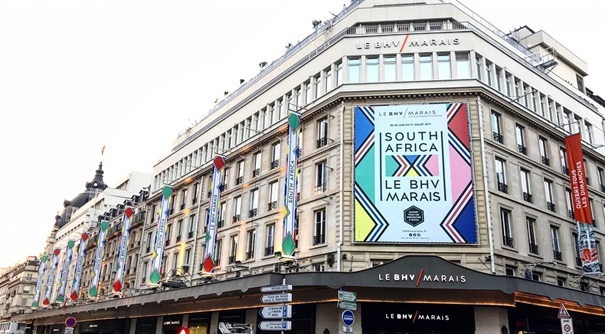 Brand South Africa, the Department of Small Business Development, the Department of Arts and Culture, South African Tourism and the Gauteng Growth and Development Agency in South Africa support the South African Exhibition in Paris. “Taking our brands into a large international retailing environment moves us closer to our goal of ultimately securing permanent supply contracts between the brands and the store, as well as other buyers in Paris. 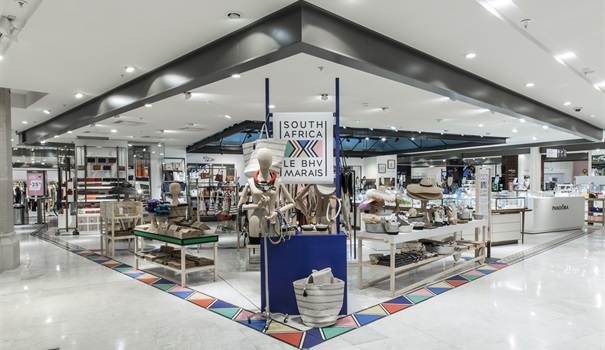 These brands have been nurtured on home soil through the Sanlam Handmade Contemporary Fair and this trade and export opportunity is just one step in the pursuit of getting our high quality South African products, into homes and stores all across the globe. "This project will craft a progressive narrative around the South African artisanal design market, which is growing and thriving with a new audacity and vigour,” explains Mandla Sibeko, director Artlogic. “The main purpose of this first exhibition in Europe is to help and support South African designers in their international development. The European market is not the same as the South African market, therefore my role is to guide designers in understanding this new market that is available to them and accompany them throughout this journey,” adds Julie Hatchuel, director This is Cape Town. The exhibition runs until 31 July 2017.